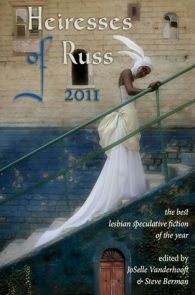 Welcome to a new annual anthology created in honor of the late Joanna Russ, American writer, academic, and feminist whose work shone brightly in the male-dominated field of speculative fiction of the latter part of the twentieth century. 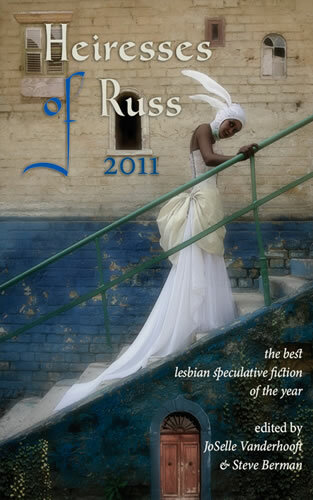 Heiresses of Russ offers readers in one volume the best lesbian-themed tales of the fantastical and otherworldly published during the prior year. Editors JoSelle Vanderhooft and Steve Berman read countless books, periodicals, and webzines to collect a range of tales—from new voices as well as award-winning authors—that celebrate the spirit of Russ’s fiction: stories of sorceresses and spectral women, lost daughters and sisters of myth. The transformative power of the written word becomes magic and tests the boundaries of gender, identity, and a woman’s dreams.